You need to put in the steps not only the recipe. Instructions will be in my printed cookbooks. It takes me a lot of time to create the recipe, edit and do it all by myself. I would appreciate if others would be more thankful for what I provide. There are detailed step by step instructions in the video. Plus I provide it all for free. thank you for all this work in making these recipes available with lovely photographs – memories coming back! Thank you Liesa for sayin that! I LOVE your videos, thank you so very much. I have learned a great deal and hope to learn more from your instruction! Glad you enjoy my recipes. Your videos are inspiring me to try some new things! Thank you! 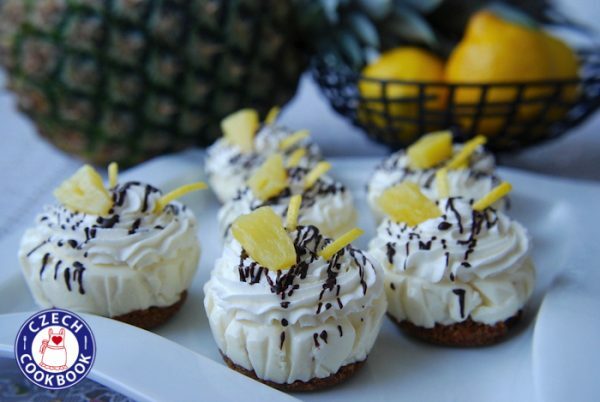 Can you freeze these pineapple cakes? They look wonderful! Thank you! I have not tried to freeze them so I am not sure how it would work but I think it should be ok.
Great website. Can’t wait for the printed version. Keep up the good work Kristýna!